Tentative Race Schedule for Wildflower R/C park. Sunday races will be laid back. 2 heats, then mains so everyone can get home at a decent hour. Entries will only be $15 for 1st, $10 for second etc. Saturday Races will be 3 heats, then mains. We have lights now and more are in the works so we can run later in the evening in the heat of the summer. Entries will be $20 for first, $15 for second etc. 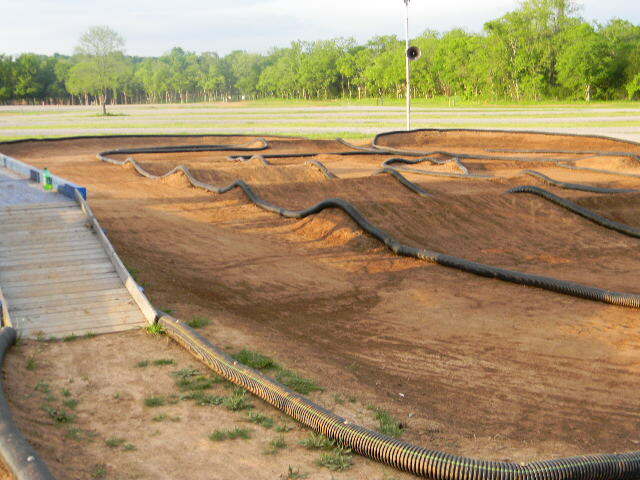 -Wildflower Recreation and Camping is an 85+ acre facility that offers lots of fun for families and motorsports enthusiasts. They have 80+ primitive camping spots, and also have several trails and tracks for Motorcycle, quad and side-by-side vehicle use. 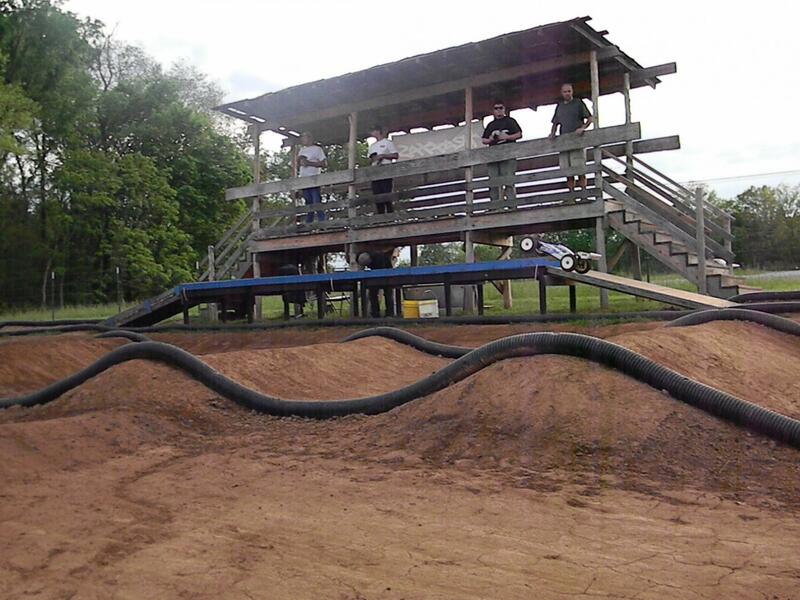 They have a Peewee motocross track, a supercross practice track, directional woods trails, and a side-by-side track. 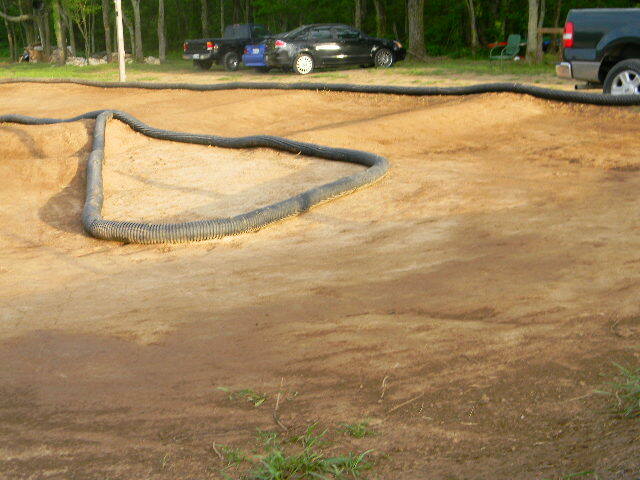 -The track is brand new clay/topsoil mix and is 120'x70' with 8 foot lanes and room to grow. -We have a large covered driver's stand, lights, water and electricity. AMB RC4 lap counting system. -This Saturday, May 11th we are inviting everyone to come out and see what we've come up with and run some cars on the track, the timing system will be on. FREE!!! I hope to see lots of people out there for this one!! Free practice day Saturday May 11th, starting at 9AM. We'll be grilling up hamburgers and hotdogs too. Come check out this awesome new track and facility! you have any pics of the track ? Here you go. Search youtube for wildflower rc track too. First official race is Sunday May 19th Gates open at 9am, racing starts at 1PM! Sunday May 19th is the first official race. Gates open at 9AM, Racing starts at 1PM! OK folks, I just got back from checking on the track. We got a small shower overnight, but temps will be in the 80's and the sun is shining. WE ARE RACING TODAY!!! Gates open at 9AM, Racing starts @ 1pm. 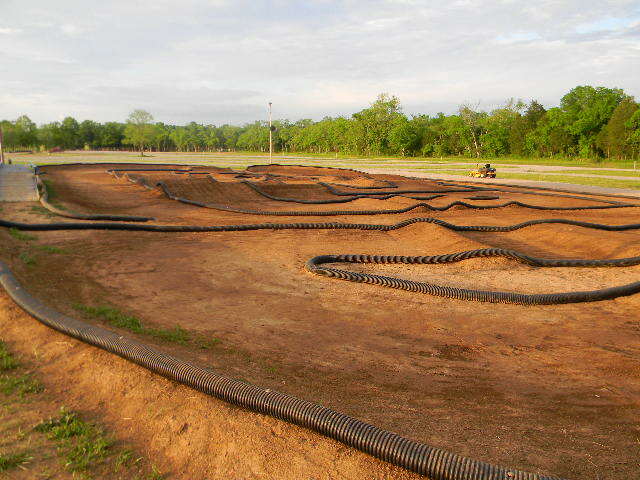 Hope to see everyone out at Wildflower Motorsports RC Track. Come on out and get some racing on! I saw a video on RC3 FB page showing them redoing the track.It didn't give a opening date but at least it's going to open!! Who would be someone to get in touch with about getting this up and running again?